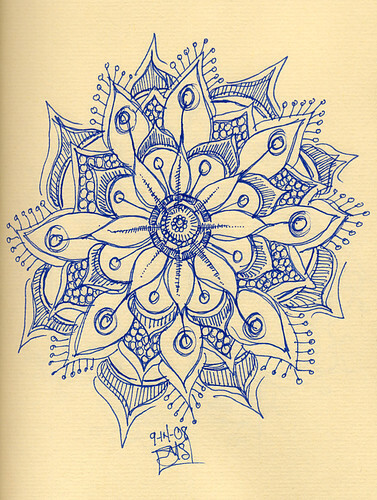 All mandalas were drawn in a Fabriano Classic Artist's Journal. Each is a meditation of sorts. I start, and typically don't stop until it's completed. 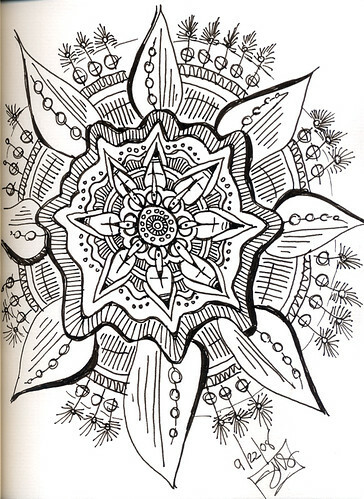 You start at the center and work outwards, expressing yourself as you go. 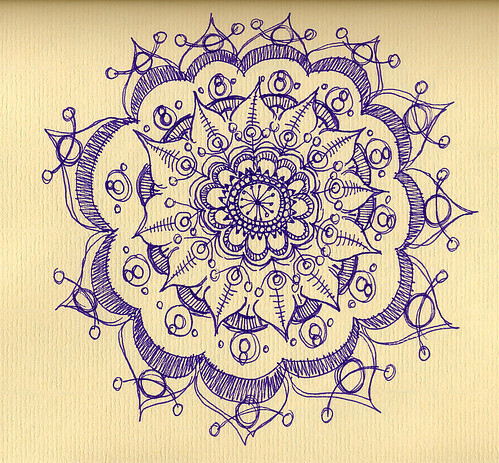 This one was done while waiting for a phone call. "There is something in everything...."